Be aware of different professionals and their roles. 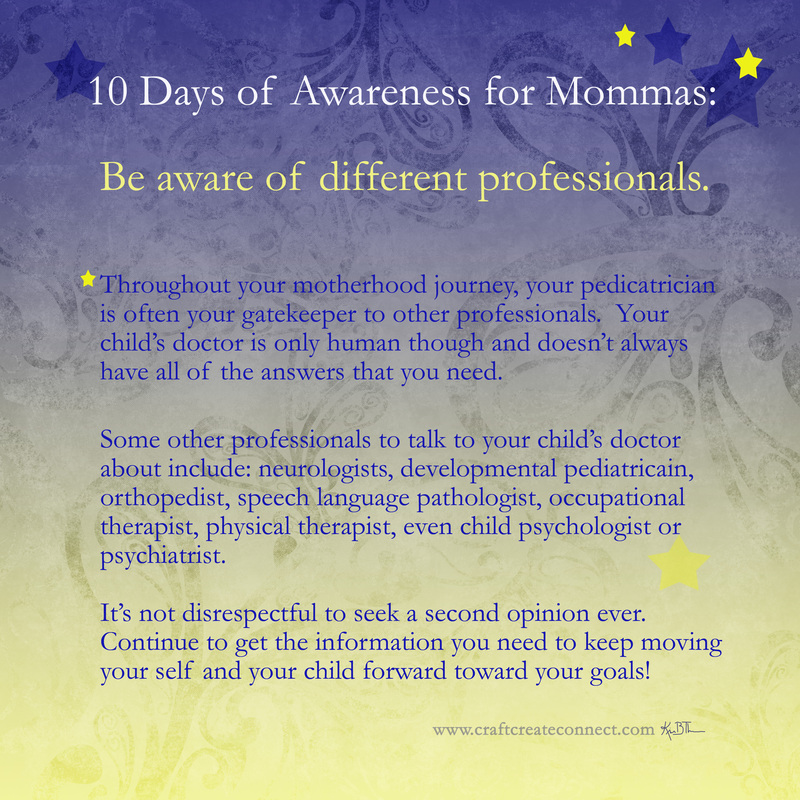 Your child’s pediatrician will most likely be the gatekeeper to services for your child. They are, however, only human and do not have all of the answers. Going and talking with a person who specializes in the area you are concerned about only makes sense and most pediatricians will gladly support you in getting your answers. The important thing is to find the right combination of professionals to help you get your child on the road to reaching their awesome potential!